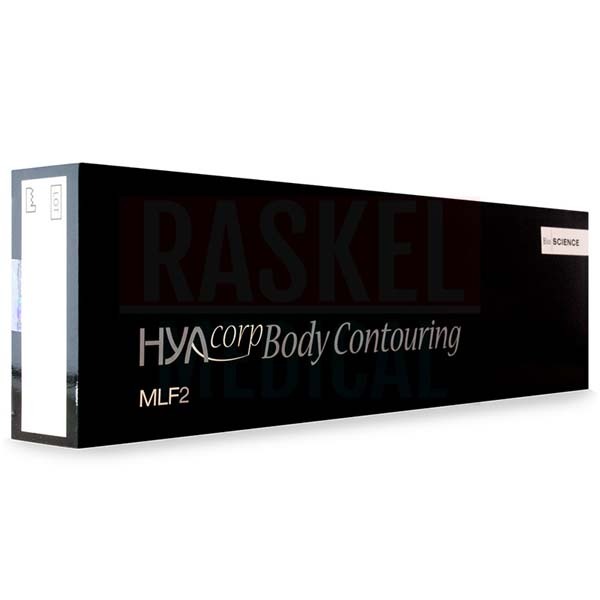 HYAcorp MLF2 is a body contouring filler that can be used to volumize and contour parts of the that have been affected lipoatrophy, have concave deformities, or otherwise have aesthetically unappealing or undesirable forms. This injectable gel’s main ingredient is hyaluronic acid, a substance that is naturally found in the dermis and gradually in concentration due to aging. This filler is suitable for larger areas of the body, such as the buttocks and calves, to provide maximum volume. An injection can provide an immediate and natural-looking lift. HYAcorp MLF2 consists of a nontoxic, non-inflammatory, apyrogenic body filler that restores lost body volume. It specifically targets the deep subcutaneous layer of the buttocks, calves, and other areas affected by concave deformities. The formulation has hyaluronic acid that has a particle size of 300–500 μm so as to be effective when applied in larger body areas. This product’s hyaluronic acid is further enhanced through cross-linking and a reticulating agent to create a firm and sturdy network that can withstand enzymatic degradation. This allows the HYAcorp MLF2 gel to resist extrusion force and pressure and lift the treated area for up to six to eight months. Through quick, noninvasive injections that take, on average, 30 to 45 minutes, the patient can achieve their ideal voluptuous shape without having to undergo surgery. The manufacturer of HYACorp MLF2 is BioScience. This product originates from Europe. The adverse effects that may occur are mild swelling, slight discomfort, and swelling. These may occur due to the injection techniques used or inflammation caused by the needle puncture. Reduce the risk by following the correct aseptic preparations and by placing an ice pack onto the treated area after the injection. 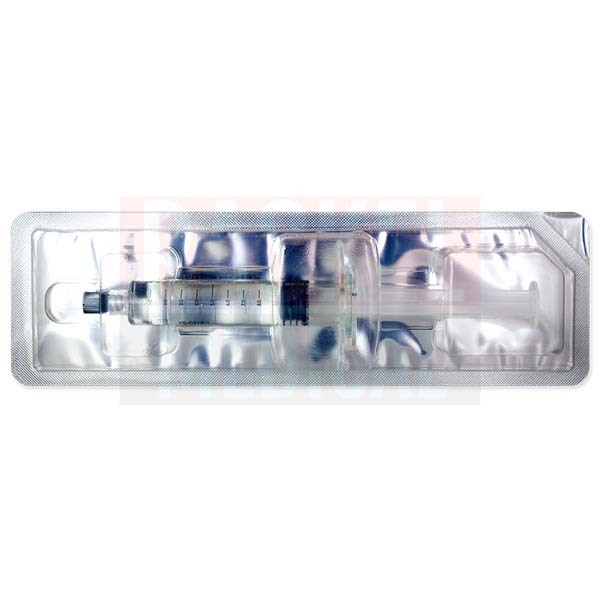 This injectable is suitable for all skin types. It contains highly purified and enhanced cross-linked hyaluronic acid. It does not contain any steroids, non-inflammatory steroid drugs, antibiotics, or fragrances, such as parabens. The solution is supplied in a 10ml glass syringe with a Luer lock. What are the differences between this filler and the other in the HYAcorp product range? 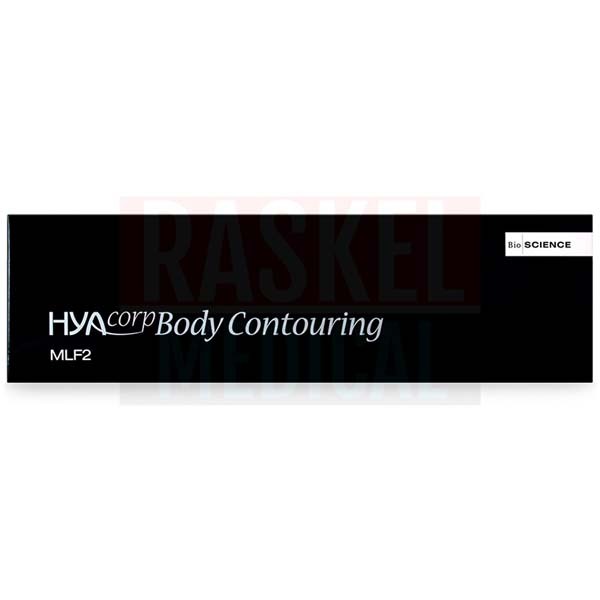 As it is a body cosmetic filler designed creating maximum volume, the particle size of HYAcorp MLF2 is thicker than HYAcorp MLF1. 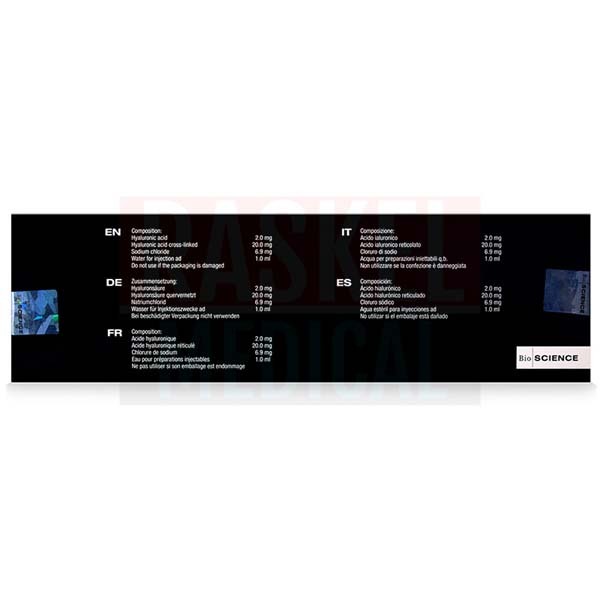 It is designed to increase high volume while maintaining the internal pressure of the surface. As this is a medical product, only trained medical professionals should carry out this procedure. Ensure the patient is comfortable and understands the potential expectations, side effects, possible risks, and expected results. Review their medical history. Disinfect and clean the area of treatment and ensure the treatment area shows no signs of inflammation. You may use a local anesthetic to reduce any risk of pain and discomfort. Rotate and secure a 27G needle or a thin cannula into the Luer lock of the glass syringe to avoid any leakage. Remove any air bubbles by pushing the plunger until a small droplet appears. Make a small 2–3mm incision at the targeted area and advance the needle to the deep subcutaneous layer. After the injection, massage the area with minimal pressure, so as to distribute the gel evenly. The whole procedure should take, on average, about 30 to 45 minutes, or more if necessary. Let the patient sit for some time so you can detect any possible post-procedural blanching. Apply an ice pack to reduce any swelling. Remind the patient to avoid prolonged exposure to the sun, extreme temperatures, performing strenuous exercises, and putting too much pressure onto the area of treatment for 48 hours after the treatment. HYAcorp MLF2 is made up of 20mg/ml of cross-linked hyaluronic acid, 2mg/ml of hyaluronic acid 2, sodium chloride, and water for injection. This body filler increases the concentration of hyaluronic acid in the extracellular matrix of the dermis. Although it is naturally contained within the body, the concentration of hyaluronic acid depletes with age, and this minimizes the volume, contour, and shape of the body. HYAcorp MLF2 supplies highly purified and enhanced 300-500μm hyaluronic acid that is sourced from the biofermentation of Streptococcus bacteria. This acid is equally biocompatible with the surrounding soft tissues. Cross-linking enables this hyaluronic acid to have a strong network that is resistant from degradation, allowing it to sustain its mold for as long as six to eight months. This ingredient can be used to lift and change the contour of an area of the body into a natural-looking desired shape. The highly enhanced cross-linking process of HYAcorp MLF2 protects it from enzymatic degradation and potential immediate dissolution. As such, this product can last for as long as six to eight months, depending on the patient’s condition. When not in use, keep the syringe in the box at a temperature between 15°C to 25°C. Do not freeze. Refer to the expiry date stated on the box for clarification.